Today was a dream. 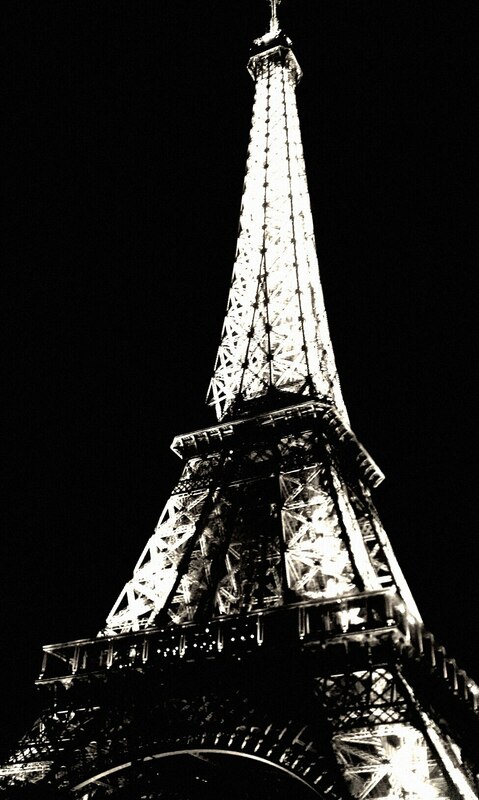 I’m in Paris! I started studying French almost 7 years ago now, and I forever had it in my mind that I would one day be living here – in this city, and the day has finally arrived. I probably annoyed my host by saying so many times how it was truly a dream come true for me. I still can’t believe it. Today was very long in fact. Imagine this scenario trying to board the train: Sasha + 1 very large suitcase weighing over 50 lbs + 1 smaller suitcase weighing about 30 lbs + 1 full backpack + one purse = disaster. I had to take the train from Geneva to Paris this afternoon and luckily I was far enough outside of Paris where the commonfolk are kind enough to offer their assistance when they see someone in need. I was sweaty and disgusting when I sat down on the train finally, definitely not in the mood to make small talk with my seatmate. Apparently, I wasn’t the only struggling today, because my seatmate, a girl just about my age, had a bag that could definitely fit us both inside of it. We ended up talking the entire time and watched a movie on my computer and exchanged numbers before departing. +1 new French friend for Sash. I have a few thoughts that I’ve concluded the past week or so: I think it’s cool how in France there doesn’t seem to be a mold that people my age usually find. For instance, one of Roxane’s friends from l’uni actually had a whole college experience in the US. He did all his studies in accounting and finance at Northeastern. Then he returned to Geneva after graduating, and is now studying to be a doctor. He’s 25. Then the girl I met on the train went abroad for 6 months a few years back and is now doing an internship in Paris. It just seems as if everyone moves at their own speed and there isn’t a stigma if you don’t do things they way they “are supposed to be done:” graduate high school, go to college, get an internship, graduate college, start a career. I just hate that people feel like that’s how it’s supposed to be. What if I want to have 3 different careers? Go to cooking school? Live in San Francisco, New York, and Paris? Have a family? It seems impossible in my mind, but for the French, anything is possible. C’est la vie! – as I have learned. Lauren and I were watching Ratatouille the day before I left for France so I would get “in the zone” and the other day when I was walking around the big fair of Thonon with Claire, I kept saying, “tomme de chevre de paix!” like Remi does in the movie – for those of you who have seen it you may not even know what I’m talking about. But then it was funny, because all of a sudden we came upon a cheese vendor and there it was – the tomme de chevre! And it was oh so good. We ended up having a wine and cheese night for our last night which we spent in Geneva so I would be close to the train in the morning. It was a great last evening, very quiet, but SO much good local cheese we bought at the market. Happy girl over here. Tomorrow I look for a French phone, hang out with a fellow Islander (!! ), and then go to a little soiree with my French host, who just so happened to save my life today by picking me up at the train station and hosting me for the weekend.